Squash House Quilts: Potatoes, Pumpkins, iPads and Quilts! The pumpkins are beauties Candace! And thanks for sharing more beauties from the show! Very handsome pumpkins. I love Yukon Golds. You're reaped quite the harvest. GORGEOUS quilts. Love all those sharp points. 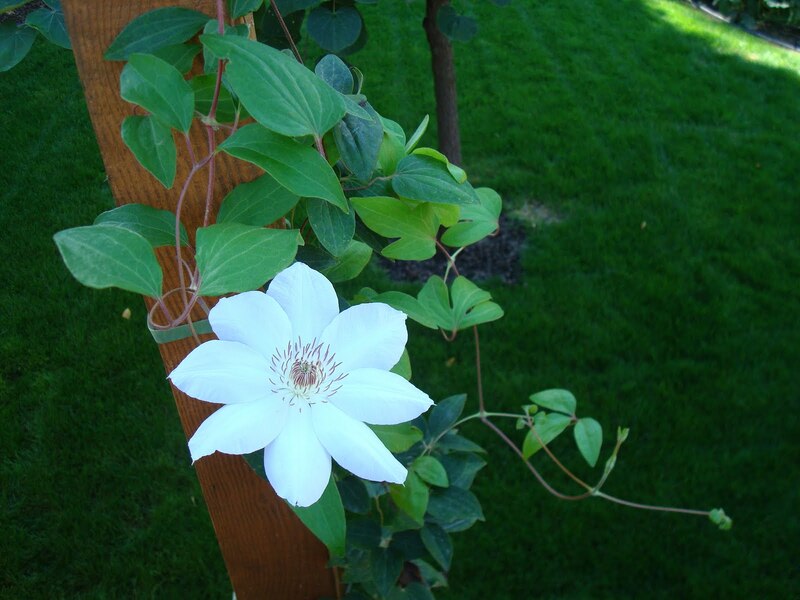 Oh, clematis are my favorites! And pumpkins! I'm jealous! And thank you for the pictures of the quilts also. 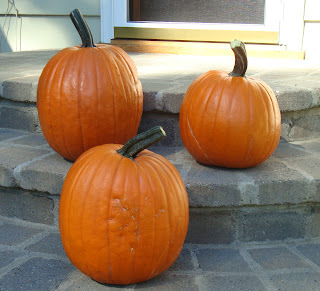 Great pumpkins, I have 2 ready to pick. Yes, your blog text is in brown and your background is also brown. Just go into the settings and change the font color to black or a darker brown. Easy to do. When I check your blog on my good old laptop it takes a bit for your brown font to get bright enough for me to read it...as if it is still loading? My husband has an IPAD and if I think about it later I can check that route too. Beautiful quilts. The blue one - fifth down - is absolutely breath taking! Thanks for sharing. Your pumpkins are wonderful! I'm jealous. Nope, I can't read your blog on my iPad. Your blog is always brown upon opening, but lightens up by the time I scroll down to your post. Your pumpkins are great and so are the quilts you treated us to today. I think my favourite is the first one, I loved the muted colours in it. The pumpkins are gorgeous! Yukon Golds are my favorite potato. Yours look delicious. I love being inspired at quilt shows. It looks like there was a lot of inspiration at the one you attended. great harvest of veggies and quilts. Your pumpkins look lovely and potatoes yummy! The quilts are beautiful also... I can read your blog great but I am not on an IPAD..
Beautiful clematis and very lovely pumpkins, Candace! Candace...I don't use an Ipad and your blog is always brown but I can read it! Your pumpkins look good and the potatoes too, very healthy. The quilts are great! I also receive your blog with a brown almost unreadable background and I have a lap top. I have to move my laptop so the light hits it perfectly in order to read it and sometimes that doesn't even help. I do enjoy the pics. even if I can't read the text. Your pumpkins are really lovely. I think the orange this year in them everywhere I look is a good rich color. 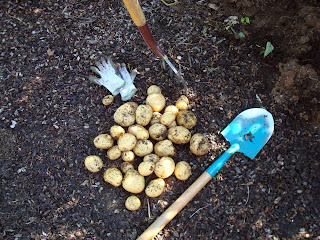 Yukon golds are my favorites among the potatoes. Thank you for sharing the quilt photos. They are all outstanding! La Conner had their show this weekend and the theme was applique. Viewed some breathtaking quilts. Have a great fallish week. Thank you for the lovely pictures of quilts, Candace! Candace I had a iPod and when I'm using it I have a hard time seeing the words on your blog. Right now I'm using the laptop so I can see the colors just fine. Yes, Candace, I've experienced "not being able to read your blog" before. I leave it and come back at another time...like on this particular post of yours. I couldn't read it when you originally posted it so I am back today.